The Russian Investigative Committee has detained Alexey Ulyukayev on suspicion of taking a $2 mln bribe for clearing Rosneft-Bashneft deal. Russian Economy Minister Alexey Ulyukaev has been detained and is under investigation on suspicions of bribery. Alexey Ulyukaev is under the investigation for allegedly having received $2 million that led to a positive conclusion, allowing Rosneft oil company to buy Bashneft, the Russian Investigative Committee said early Tuesday in a statement. "The Main Investigations Directorate for High Priority Cases of the Russian Investigative Committee has opened a criminal investigation of the Economy Minister Alexey Ulyukaev," the statement said. 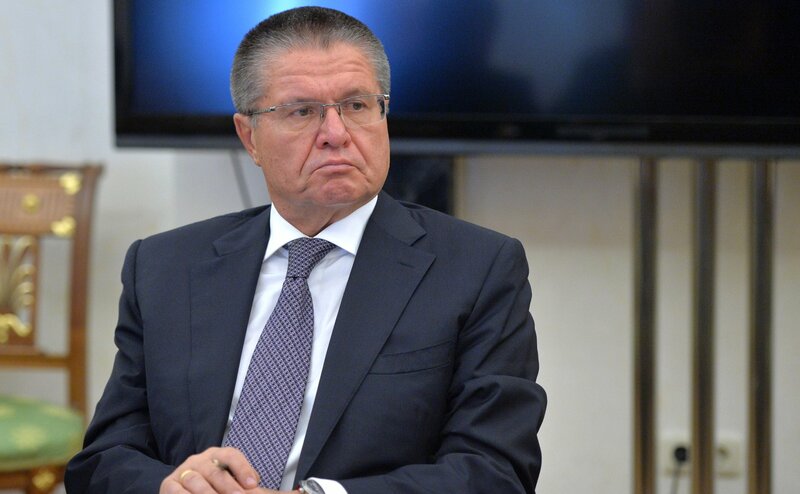 "The investigation is linked to the Economy Minister Alexey Ulyukaev having received on November 14, 2016 $2 million dollars for the positive appraisal given by the Economy Ministry, which allowed Rosneft to buy 50 percent of Bashneft shares," the Investigative Committee added. The committee also said that Rosneft representatives were coerced, threatened into giving a bribe. According to the Investigative Committee, Ulyukaev was arrested at the moment of receiving a bribe. Kremlin spokesman Dmitry Peskov has commented on the situation, saying that the accusations against the economy minister are very serious. "It is night out there. I don't know if this has been reported to the president. This is a very serious accusation that needs serious proof. In any case, the decision can be taken by court only," Peskov told RIA Novosti. There were no comments coming from the Ministry of Economic Development. Russia's Federal Security Service (FSB) has been monitoring Alexey Ulyukaev for more than a year, a source in the agency said Tuesday. "The Minister [of Economic Development Alexey Ulyukaev] has been monitored by FSB agents for more than a year. It is unclear if he was suspected from the beginning of what he is accused now, but he has definitely been observed for more than a year," an unnamed source in FSB told RIA Novosti. A law enforcement source reported that the wiretap evidence helped to move the investigation into the active phase. Rosneft refused to comment on the investigation of the Russian Economy Minister and stressed the legitimate nature of the deal with Bashneft, Rosneft representative said Tuesday. "The company does not comment on the actions of the Investigative Committee. The shares of Bashneft were bought in compliance with Russian legislation based on the best commercial offer to the bank," the representative of the company told RIA Novosti. "The sale of Bashneft shares was done in accordance with the law and is not the subject of this investigation," Svetlana Petrenko, the acting head of the Investigative Committee's press office, told RIA Novosti.